I don't know about you, but during the autumn and winter I find myself reading more and more ghost stories - cosying down with blankets, a hot drink, and ghost story in hand is one of my favourite ways to spend the longer, darker nights. 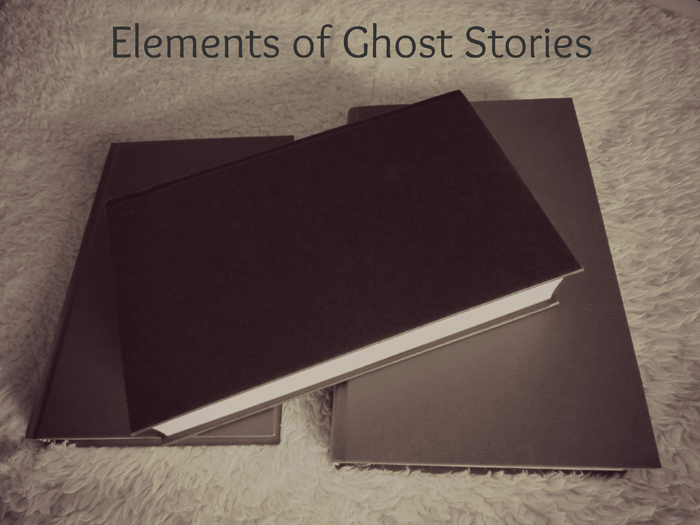 I've read a few ghost stories recently, and it got me thinking about the elements within ghost stories that really make the story for me, and today I thought I'd talk about them. Although I've read, and enjoyed, many ghost stories with the actual physical presence of a ghost, I find that just the allure of a ghostly being to be a lot more frightening than a physical being. The unknown, and your own imagination, can be quite a terrifying thing. I'm sure we've all read a ghost story that features a haunted building or house of some kind, in fact it's quite a cliché within the genre really, but I love a foreboding building that turns out to be haunted. I think the setting itself really lends to the story, and done in the right way, often a haunted house can be a character in its own right. When it comes to the time period of a ghost story, I find books set during olden time periods - especially the Victorian time period - tend to be a little creepier than reading books set during a modern age. The seasonal setting really sets the tone for a ghost story - I mean, how many ghost stories have read that took place during a summer heatwave?! The colder, darker months are the perfect backdrop for a ghost story, and often the chillier weather elements only add to the atmosphere enveloping you whilst reading. Speaking of atmosphere, I think it's important to build up a chilling atmosphere through words and unfolding story - often a mysterious writing style can do this, as well as the setting of the story, and the feeling of a build up to an event. Having read a good number of ghost stories during my lifetime, I've read ghost stories told from varying points of view, however when a ghost story is being narrated to someone else, or being told in first person after the fact, I instantly find that chilling. I think it's something to do with the fact that I know something sinister is to come, and I'm trying to figure it out along the way. I want chills whilst reading a ghost story. I want that hair standing on end feeling. I want to feel so creeped out that I'm looking around myself and surroundings feeling suspicious, as if someone is watching me. ARE YOU A FAN OF GHOST STORIES? WHAT ELEMENTS MAKE A GHOST STORY FOR YOU? I love ghost stories. For me, it’s all about the atmosphere, pacing, and plot. I like my scary stories to be fast-paced and unpredictable. I definitely understand why you enjoy your scary stories that way! I don't read a lot of ghost stories as I'm a bit of wimp! But I do really get the allure of a ghost and know just what you mean about that. That is why they scare me! And so true about the Autumn setting I've never thought about that before! So true, Christine - I hope you're enjoy the Roald Dahl collection!